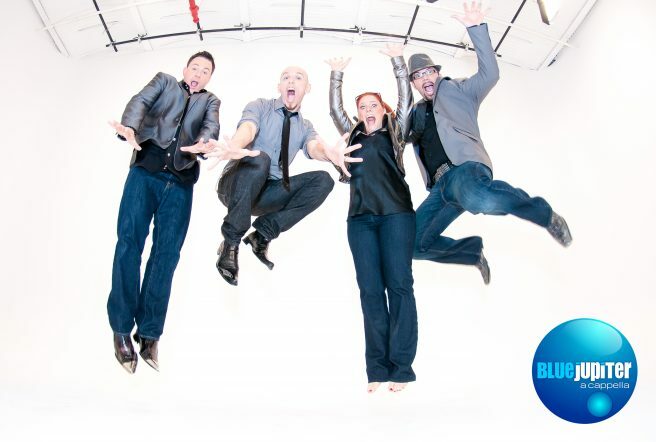 Blue Jupiter is the cutting edge of a cappella. Soaring pop and Broadway leads. Tight harmonies, unbelievable beatboxing, and most importantly - nothing else. No instruments. No DJ. No tracks. No calories. No carbs. 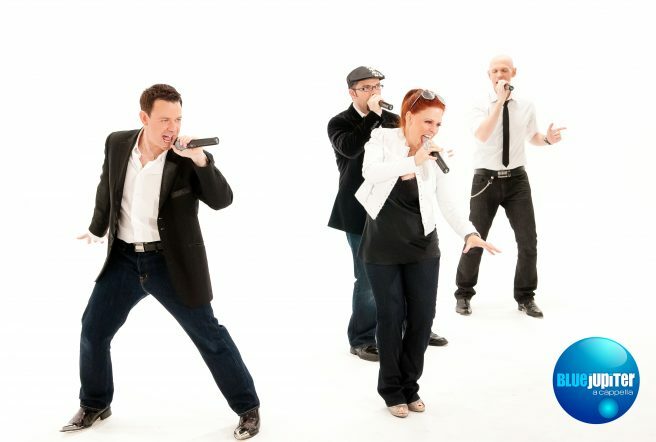 This NYC-based quartet is just four mouths and four mics. Real voices and non-stop energy. In a world where seemingly everything is fake, Blue Jupiter is out of this world. Blue Jupiter was formed in 2001. What began as a way to make pizza money for hungry students at Berklee College of Music in Boston, quickly became a full-time professional career.